The Narrative Lectionary points us to the Triumphal Entry as recorded in Matthew 21:1-17. This text includes the cleansing of the temple. 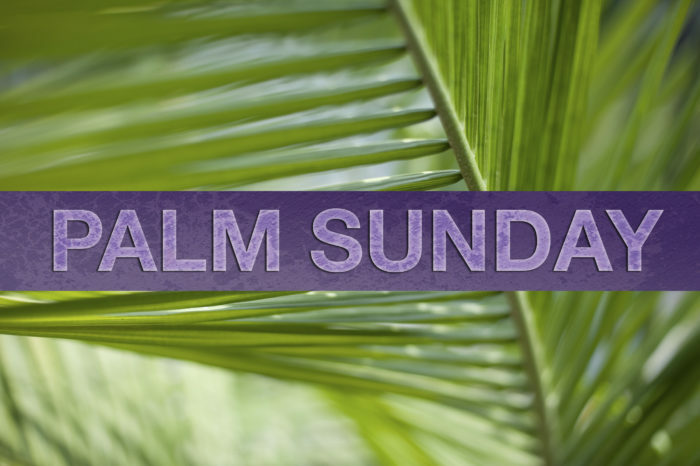 Palm Sunday is a celebration of the identity of Jesus that is a stunning contrast to the swiftly coming betrayal, trials, crucifixion, and burial of Jesus. Various faith traditions will dictate how congregations will observe this day. In my own faith tradition, we do not have any liturgical practices that relate to this observation. I will, however, preach from this text and focus attention on the question in verse 10. As we enter into the last week of the life of Jesus with our eyes wide open, it’s hard to place ourselves in the shoes of the crowd welcoming Jesus and shouting his praises. They do not know what is ahead in only a few days. The Gospel writers spend a good portion of their accounts on this last week in His life. It’s Passover week and thousands have come from all over the ancient world to Jerusalem to celebrate their greatest religious festival. 40 years later Josephus estimates that 2,700,200 persons participated in the Passover. Jesus’ ministry in the area has been public for about three years, so he is no stranger to those who live here. But there are people from everywhere and it is not strange that people want to know ‘Who is this?’ One approach to this text might be to answer this question. Jesus is a Peaceable King. He rides into Jerusalem on a colt that has never been ridden. The donkey colt was a symbol of humble servitude. Jesus did not enter the city on a stallion or royal camel, which might be more fitting for a King. Matthew quotes a passage from Zechariah. Jesus’ action here is a deliberate Messianic claim. He was offering himself to the people, at a time when Jerusalem was surging with Jews from all over the country and from all over the world. He came to bring peace. It was the last invitation to men to open their hearts to him. Jesus is the Saving Sacrifice. Luke’s account gives a very poignant picture of the King of Israel seeing the reality of the situation (Luke 19:41-44). Associated with the Passover are the Hallel psalms, numbered 113-118. Pilgrims sang these as they walked or recited them to one another (read Psalm 118:15-29). ‘Hosanna’ is not just a superficial cry of a crowd saying “Hurrah” … it means “save us” or “save now” or “may the Lord save”. Psalm 118 is frequently quoted in the NT – especially its ‘chief cornerstone’ image. Barclay says that Hosanna is a people’s cry for deliverance and for help in the day of their trouble; an oppressed people’s cry to their savior and their king. He is going to save them, although it is not like they expect. Jesus is the Triumphant Victor. Removing one’s cloak and laying it before a monarch was an ancient way of showing respect for his authority, as if to say, “I am placing myself in your hands.” -S. Crain. Branches are a part of the victorious proclamation. Revelation 7:9 says, “After this I looked, and there before me was a great multitude that no one could count, from every nation, tribe, people and language, standing before the throne and before the Lamb. They were wearing white robes and were holding palm branches in their hands.” There are two festivals where palm leaves played a part: The Feast of Tabernacles and The Feast of Hanukkah. So the crowds were caught up with powerful images that day. 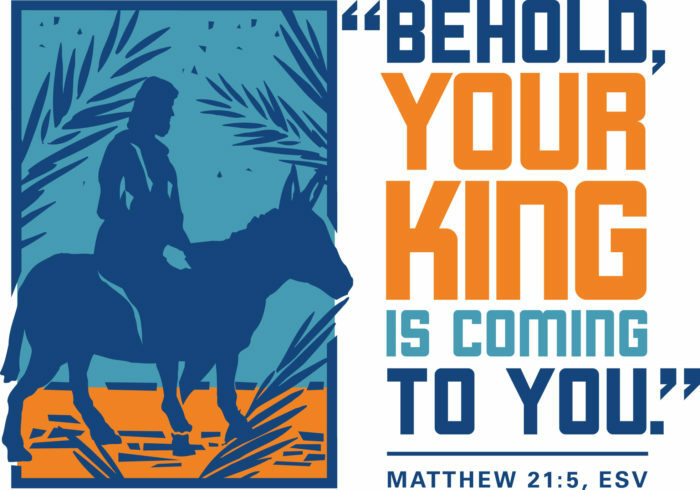 Craig S. Keener says, “Whereas Jesus by riding the donkey implies his renunciation of revolutionary aspirations, the crowd’s use of palm branches …implies that they still see him in more revolutionary messianic terms.” Jesus would triumph, but again this crowd could not perceive the events of the coming week and what would follow. Jesus is a Prophet From God. A prophet is one who speaks for God. The OT Prophets’ characteristic opening phrase was “thus saith the Lord”. Some in the crowd recognized Jesus as a prophet, though not all. The people in the crowds from Galilee and had come to Jerusalem for the feast. Some of them had even accompanied Jesus and His apostles. Have heard him speak, and see n him work miracles with pride in their region, they gladly hailed Him as the prophet from Galilee. Matthew presents Jesus as a prophet in two familiar passages. In Matthew 13:57 where he says a prophet is without honor in his home country. In Matthew 16:14 when he asks the disciples who people say that he is … and one of the answers is “one of the prophets”. Indeed he is a prophet, both proclaiming God’s message and revealing things to come. We see these things as we read through the text with our modern eyes. The disciples only understood these things in retrospect (John 12:16). Following His triumphal entry, Jesus more directly confronted the Jewish leaders in the cleansing of the temple. He faced their hostility as they sought to arrest him. He expressed lament over Jerusalem (23:38) and predicted the impending destruction of the temple (Matthew 24:2). Jesus knows he will be betrayed to His enemies to be killed (Matthew 26:20) namely by Judas (Matthew 26:14). Five days later on that Friday, he carried out the act through which God does save us. But for now, in this one last moment of recognition, the crowd shouts Hosanna! You’re invited to join in the discussion and sharing of resources about the weekly texts of the Narrative Lectionary in my Facebook group Narrative Lectionarians.